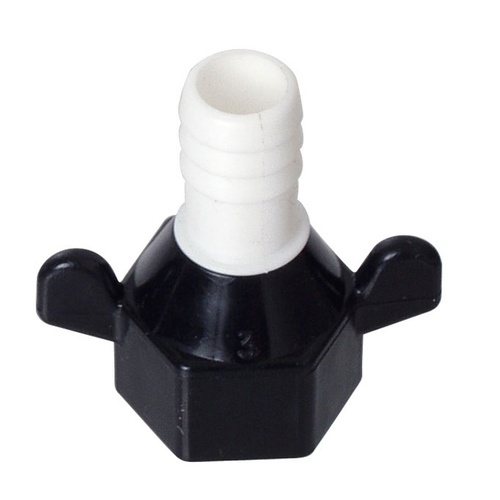 This white plastic swivel fitting is made by Shurflo, manufacturers of our popular H305 Self Priming Diaphragm pump, and is designed specifically to fit with this pump. Features a 1/2" Barb x 1/2" Female NPT swivel fitting, which makes disconnecting your hoses from the pump a snap. Made from NSF Food Grade polypropylene. for a better airtight "fit"
Been using these for over a year now and they work great.